The week started out with a string of restocks. The Retro 11 Low restock, the Jordan Cinco De Restock on 5/5 and the Retro 10 Powder Blue restock two days later. Tomorrow we get another restock with the Liberty x Nike 2014 Pack restock. On Wednesday May 7th Nike released the world cup inspired Air Max 90 EM National Pack. Thursday 5/8 will mark the release of the Nike Free Trainer 5 Paid In Full. Friday we see another string of World Cup releases including the Rio City pack and the London City pack. More notably Nike is also releasing the 2014 Nike Elite Hero Collection on Friday 5/9. 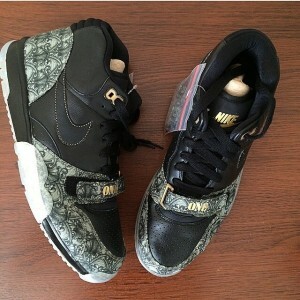 There will also be a QuickStrike release of the Nike Air Trainer 1 Mid Premium “Dollar Bills”. The week closes out with 3 Jordan Brand releases. The Retro 2 Concord, Retro 6 Turbo Green and Retro 1 ’86 Concord will be available online at 8 AM EDT. We will post Early Links for these releases in the Early Links section of our site at least a day before launch.